Annaba (Arabic: عنابة‎‎), informally known as Balad al-Unnâb (بلد العنب , "Jujube Town"), and Bona is a city in the north-eastern corner of Algeria near the Seybouse River, located in an eponymous province. With a population of 257,359 , it is the fourth largest city in Algeria. It is a leading industrial centre in eastern Algeria. 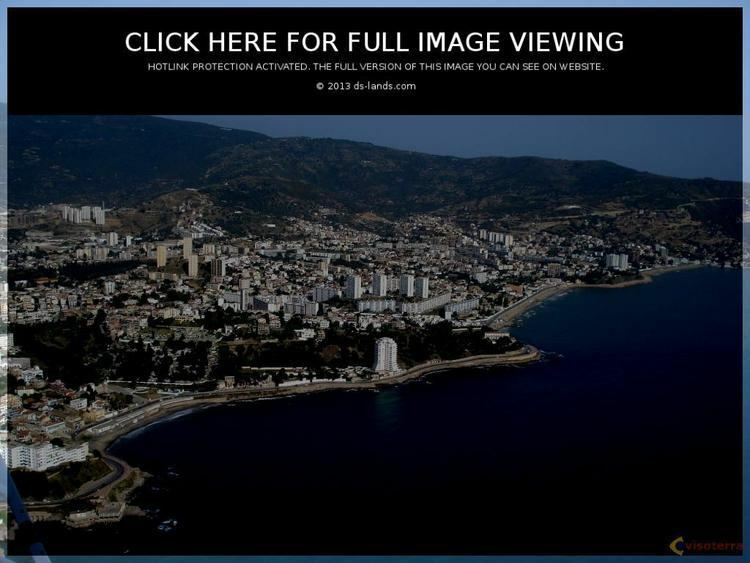 Annaba is a coastal city and has undergone significant growth. Annaba has a metropolitan area with a higher population density than the other metropolises of the Algerian coastline such as Oran and the capital Algiers. Much of eastern and southern Algeria seeks the services, equipment, and infrastructure of the city. Economically, it is the centre for various dynamic activities, such as industry, transport, finance and tourism. Present-day Annaba grew up on the site of Aphrodisium, the port of the Roman city Hippo Regius. (The modern town has since expanded south over Hippo's ruins as well.) Its former names Bône and Bona derived from "Ubbo", a local form of the name Hippo. Its informal name Balad al-Unnâb—"town of the jujubes"—derives from that fruits' abundance in the area. The vicinity of Annaba has yielded evidence of very early human occupation at Ain el Hanech, near Saïda (c. 200,000 B.C. ), including artifacts that show remarkable tool-making craftsmanship. According to some sources, prehistoric Algeria was the site of the most advanced development of flake-tool techniques in the Middle Early Stone Age (Middle Paleolithic). The Phoenicians settled in Annaba in the 14th century BC. Hippo Regius was a centre of early Western Christianity and was the site of many Christian synods, one of which was central in canonizing the current books of the New Testament. Augustine of Hippo was bishop here from 396 until his death in 430. The city was destroyed in the 5th century by the Vandals. 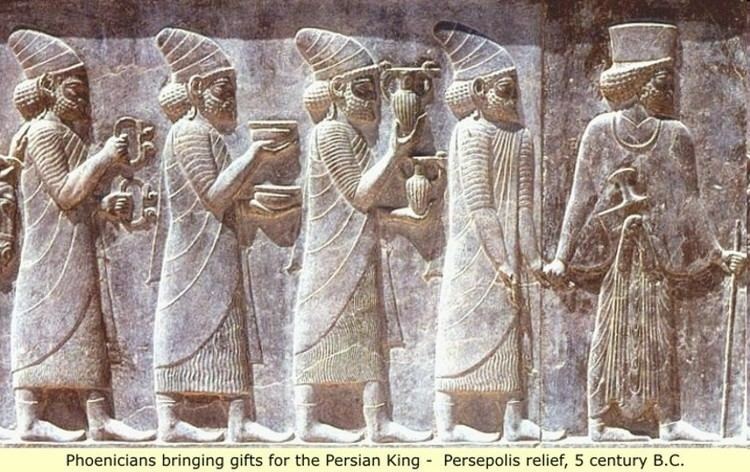 Vandals ruled the city until 534. Gelimer, King of the Vandals and Alans from 530 to 534, with his followers and their children starving and realizing he had no chance of regaining his kingdom of North Africa, surrendered to Flavius Belisarius, a general of the Byzantine Empire under Justinian I, at Bone (Annaba). Byzantines then ruled Hippona (Hippo's renamed name after 395) before Umayyad conquest in 699. Later, Abbasids, Aghlabids, and Fatimids ruled Buna before the ascension of the Zirids. It was relocated to its present place after floods and Banu Hilal ravages in 1033 during Hammadid rule. It was attacked by a Pisan and Genoese fleet in 1034 and was conquered by Kingdom of Sicily in 1153. Almohads took it in 1160. In the 11th century, Banu Hilal, an Arab tribe living between the Nile and the Red Sea, settled in Tunisia, Tripolitania (western Libya) and Constantinois (eastern Algeria) which was Annaba party. After the demise of Almohads, Hafsids rule began in Annaba in 1250. Hafsid rule was interrupted by brief occupations of Merinids and Castille (in 1360) and finished by the Zayyanids. Ottoman rule began in 1533 and lasted until French occupation in 1832, except for Spanish rule between 1535 and 1540. Barbary pirates also lived in Annaba from the 16th to 19th century. During French rule, the city was known as Bône. It was one of the main European settlements, with a sizable Pied-Noir minority. One famous pied-noir from Bône was Alphonse Juin, a Marshal of France and a former NATO Central Europe Commander. Extensive construction was undertaken at Bône in 1856–69 to build an 80 hectares (200 acres) sheltered port facility to handle the ore from Mokta el Hadid. A short railway line was built from the mine at Ain Mokra to the Bône docks. The line was opened in 1864, the first railway line in Algeria. Full-scale production began in 1865. In 1865 Napoleon III visited Algeria, including a trip to the mine and the city of Bône. In 1865 the mine produced 22,000 tons, rising to 255,000 tons in 1869. The abundant ore was extracted from underground galleries and shipped from Bône to the main French steelworks. Before the mine was opened Bône had 10,000 inhabitants. By 1924 there were 41,000 and the port was being used to export phosphates, lead and zinc ore. The city of Annaba had 257,359 people in 2008 (General Census of the population and habitat). Its agglomeration had 359,657 (with El Bouni's 111 956 inhabitants) in 1998. If El Hadjar, and Sidi Amar are also included, there are around 500,000 people in "greater Annaba". The metropolitan area includes the cities of El Bouni, El Hadjar and Sidi Amar, who now form a circle around the city of Annaba and whose links with the latter are more dense. The city has grown considerably since implementation of the plant of El Hadjar (at 10 km (6.2 mi) to the South) which drains the labour of the entire region. Annaba has a sea front downtown, where is located the course of the revolution (ex-cours Bertagna) highly animated, brimming with arcades and all kinds of shelter restaurants, terraces, kiosks. Annaba also has an international airport. Annaba has a Mediterranean climate with long, hot, dry summers, especially from mid-July to mid-August, and mild, wet winters. Snow is rare but not unknown. Rain is abundant by North African standards and can be torrential. 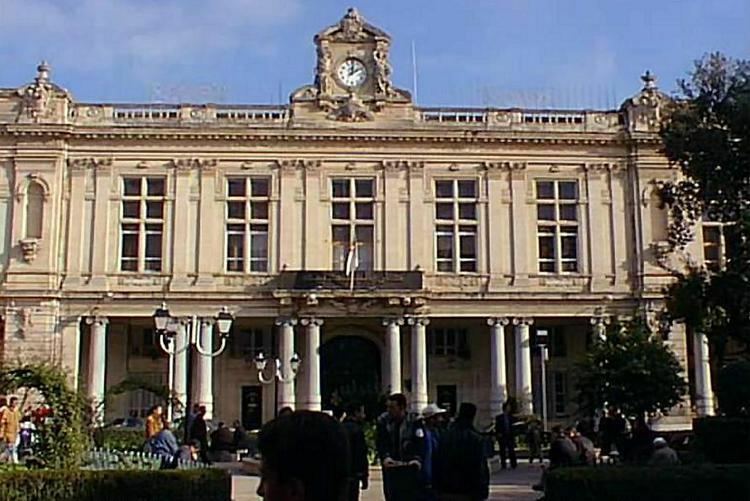 One of Annaba's most notable educational institutions is the University of Annaba. As of 2004, there are over 40,000 students enrolled. As of 1911, Annaba was producing iron, zinc, cork, livestock, and cereal. The city is an important hub of the world steel industry with the steel complex of El Hadjar, eight kilometres south of the city. It is the largest in Africa. Phosphate and metal industries are the phosphatier of the Seybousa complex and the metallurgical complex of Allelik. Private industry is very important in Annaba and concentrates especially in the agri-food, metal processing, wood and its derivatives, and the construction. Its industrial areas occupy nearly 400 ha between bridge Bouchet, Meboudja, Berrahal, Kherraza. Areas of activities are located in the suburbs of the city, Sidi Salem, El Eulma and Wadi El-Aneb. Annaba was described as the "chief seaport of Algeria after Oran and Algiers," by Baedeker's in 1911. Annaba is served by Rabah Bitat Airport, an international airport whose IATA airport code is AAE. Annaba has also rail links to the Algerian cities of Constantine and Algiers, and it is the terminus of the Algerian east-west highway. It is the second industrial pole of the country after the capital Algiers. Annaba is an important centre for tourism, and is one of the major tourist attractions in the western Mediterranean. It is a coastal town with mountains, hills, foothills and plains; as a result, in addition to the maritime and seaside tourism, Annaba has an important potential for mountain tourism. The mountains around Seraïdi reach 1080m, making it a major attraction. Other locations that draw tourists attention are the West Bay, Djenane el Bey (La Grand Plage), Ras el Hamra" and "Ain Achir" beach. Annaba also has religious attractions. Annaba hosted, in its early history, an important and influential Diocese, before its destruction by the Vandals, and the subsequent massive Islamization. Since Annaba is located on the Tunisian border, opened and visa-free, tourists may visit Tunisia and El Kala National Park, found there east of Tunisia. The city is also known for its Green Main Street (more often known as the court of the revolution), which is vibrant in the afternoon and has an active nightlife. Annaba is known for its beautiful beaches, hotels and nightlife. Most foreign tourists are from Italy and France. The Bone War Cemetery is found about 5 kilometres (3.1 mi) from Annaba on the road to Constantine. It is an important memorial site for the British forces who fought in the region during the Second World War, with 868 Commonwealth burials of the Second World War. There are also 14 non-war burials, mostly of merchant seamen whose deaths were not due to war service. It was designed by J. Hubert Worthington. Augustine of Hippo, also known as Saint Augustine, was Bishop of Hippo Regius (present-day Annaba). Ahmad al-Buni, born in Bône (now Annaba), died 1225, was a well-known Sufi and writer on the esoteric value of letters and topics relating to mathematics, sihr (sorcery) and spirituality. His complete name is Sharaf al-Din or Shihab al-Din Ahmad ibn Ali ibn Yusuf al-Buni al-Maliki al-Amazighi. Alphonse Juin, born in Bône, was a French pied-noir general during World Wars I & II. Edwige Fenech, born in Bône, is an Italian actress. Mohamed Boudiaf, Algerian president assassinated in Annaba in 1992. Alain Ferry (writer) (born 1939), professor and writer, recipient of the 2009 edition of the prix Médicis essai.